Join us for this Artist Talk and Make Session with Iyapo Repository, presented by VIA as part of the AWC Lab Project. This event is free and open to the public. All ages and creative backgrounds are welcome. Iyapo Repository is a resource library of digital and physical artifacts that promotes self-determination in technology, and affirms and projects the futures of peoples of African descent. Create manuscripts, objects & artifacts using a range of tools to express your vision, from the HTC Vive to pen and paper. Topics span food, politics, music, fashion, health & wellness, identity, housing & architecture, transportation, systems & institutions, technologies, the environment, etc. Iyapo Repository, founded by Salome Asega + Ayodamola Okunseinde, has exhibited and presented at Eyebeam, Brooklyn Museum, Museum of Contemporary African Diasporic Art, Eyeo, the STUDIO’s Weird Reality symposium and beyond. 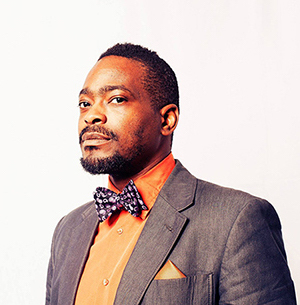 Ayodamola Okunseinde is an artist and interactive designer teaching at The New School Parsons School of Design, where he received his MFA in Design & Technology. His works range from painting and speculative design to physically interactive and performance-based works and explorations of Afrofuturism. 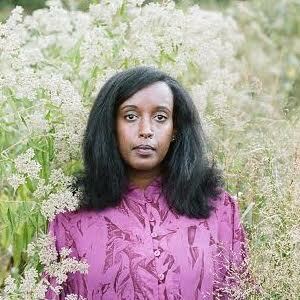 Salome Asega is an artist and researcher whose practice celebrates dissensus and multivocality. She works collaboratively to build interactive installations and to develop odd wearables. She is the co-host of speculative talk show Hyperopia: 20/30 Vision on bel-air radio and the Assistant Director of POWRPLNT, a digital art collaboratory. Salome also received her MFA from Parsons at The New School in Design and Technology. The AWC Lab is a project by VIA in collaboration with the August Wilson Center and Three Rivers Arts Festival, supported by the Pittsburgh Foundation’s August Wilson Center grant. The AWC Lab will run June 2-9 in the center and feature 2 visiting artist collectives – Iyapo Repository (NYC) & Complex Movements (Detroit) – in context and collaboration with various Pittsburgh communities and artists. The format of the Lab and its collaborations are currently being developed. For more information, or if you’d like to get involved / connect with the artists, email Lauren Goshinski (VIA Co-Founder & STUDIO Fellow, laurengoshinski@gmail.com) & Liana Maneese (AWCLab Community Facilitator liana@thegoodpeoplesgroup.com).